Parksville, Qualicum Beach, Nanoose Bay, Nanaimo, and beyond. Nanoose Bay Towing & Transport operates 24/7 rain or shine, on the road or in the dirt. We deliver fuel, boost batteries, change tires and unlock doors to get you safely on the road again. 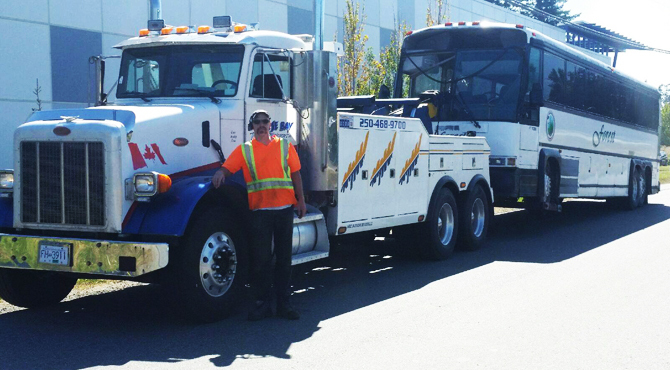 We have proudly been serving Vancouver Island since 2006 and are also owner-operated. Our operation area primarily consists of Parksville, Qualicum Beach, Nanoose Bay, and Nanaimo however we will go anywhere on the island and then some. Please give us a call and we can discuss the job at hand. We are BCAA and ICBC approved and work with most major auto club memberships. Looking to book in advance? Contact us to arrange an appointment. 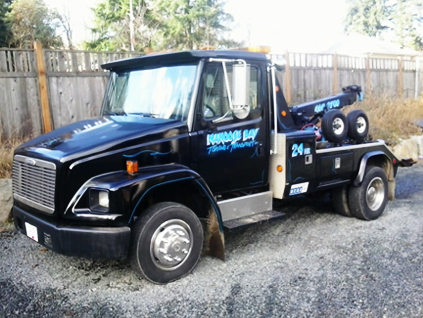 Local and long distance towing and transporting. Whatever the need or where ever you need! 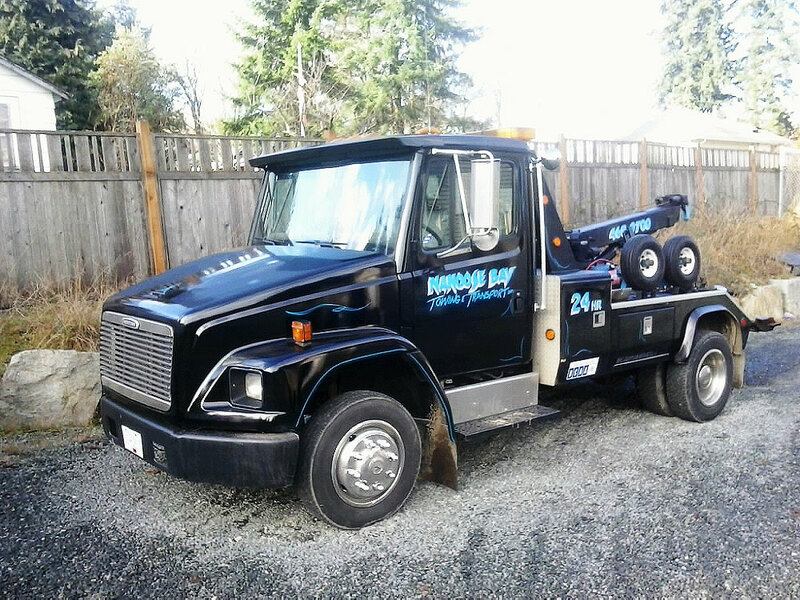 Customer service is a priority at Nanoose Bay Towing and Transport. We take pride in our work and are experts in our industry. You can relax, your cherished possessions are in good hands. 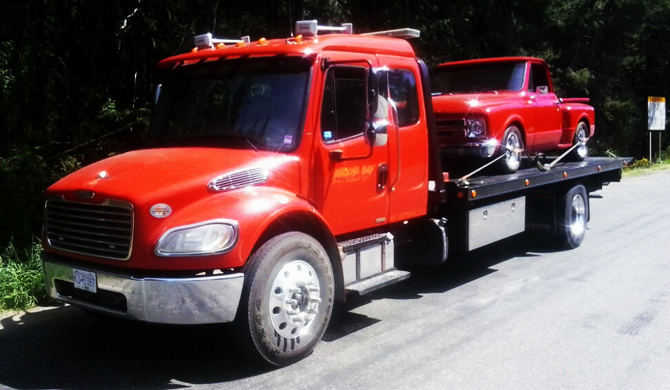 We use wheel lift towing or a deck truck that will prevent damage to your undercarriage and exterior. We offer free scrap car removal. If you have a broken down vehicle and need it moved off your property, give us a call. We'll take care of it, don't even worry about it anymore. You name it we can haul it. Call us now and we'll take it from there! 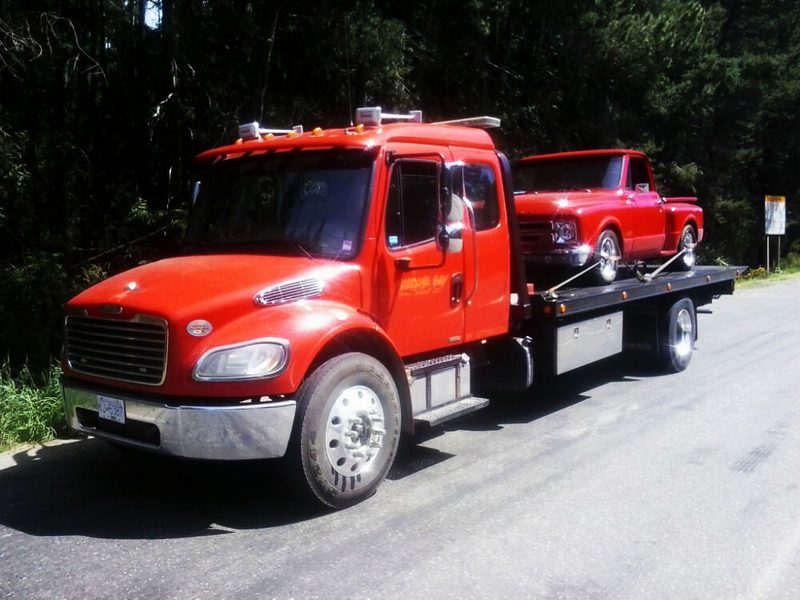 Large vehicle towing and recovery specialists - RVs, semi trucks/trailers, etc. © Copyright Nanoose Bay Towing & Transport Ltd.